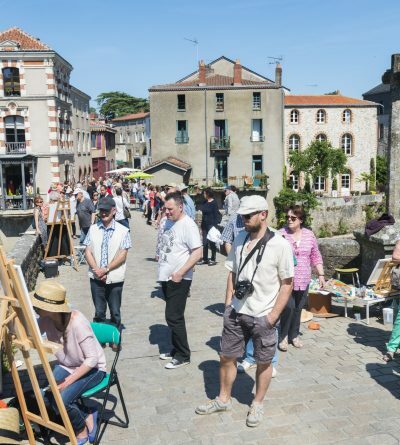 For 24 years, on the first weekend of June, the artistic festival has transformed the “picturesque” historical centre of Clisson into the “Place du Tertre” of the Nantes Vineyard ! 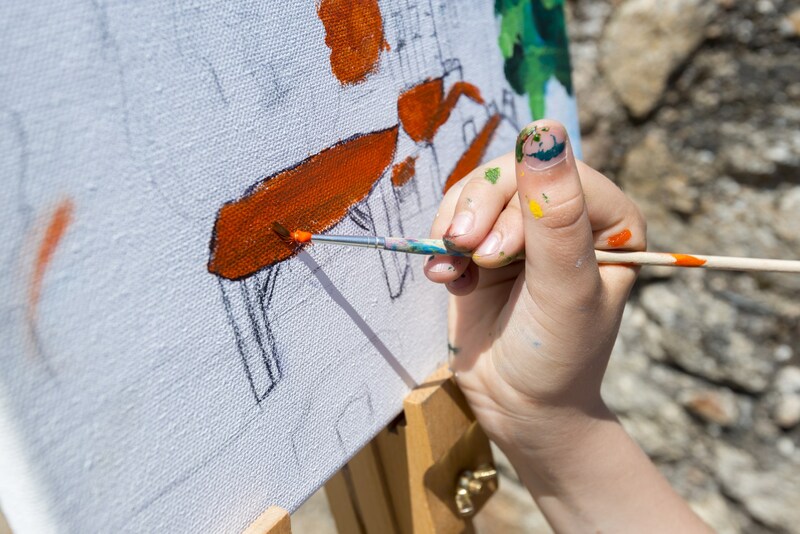 Artists enjoy the beautiful landscape of the city with all its Italianate charm to create their works in a festive and friendly atmosphere. It is also one of the favorite events of the inhabitants of the Valley of Clisson and the Nantes area who enjoy walking the streets and the “Place du Tertre” of the Vineyard area. Between a walk through the easels, exhibitions and events in the streets, all the ingredients are there for the public to enjoy the charm of the beautiful medieval and Italianate town of Clisson. Stroll through the streets to meet the artists. Taste an award-winning Muscadet under the covered market . And for night owls under this mediaeval building: The art fair until midnight! 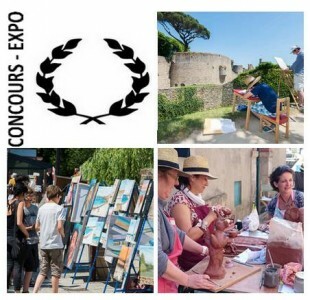 SUNDAY: EXHIBITION IN THE STREETS AND SPECIAL DAY OF THE AWARDS CEREMONY ! The exhibitors are installed in the streets, enjoy the “guinguette” on the banks of the Moine river, the afternoon is festive with music bands in the streets. New in 2019: an ephemeral art gallery under the mediaeval market for 2 days and 1 night! The atmosphere of the Saturday contest. Video from the tourist office.